An entire year of your sections abstracts are now available online in pdf format! 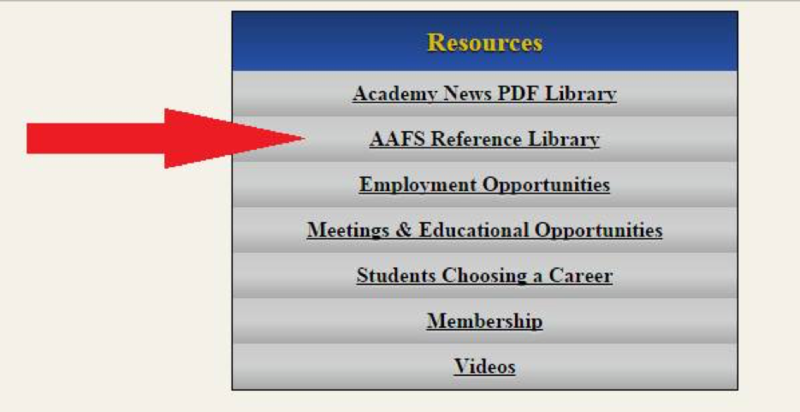 With credit to AAFS staff, the AAFS Reference Library can be filtered by year and section for easier access. 2016 abstracts are now available. 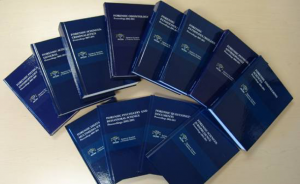 The Reference Series has proven to be a terrific resource, as many people are just starting to see the full potential of the Reference Library. The AAFS Reference Library has received over 5,300 hits every year with a 54% repeat visitor use since its inception in 2013. To access the AAFS Reference Library, find the resources tab on the AAFS home page, www.aafs.org, and select “AAFS Reference Library,” as shown below.